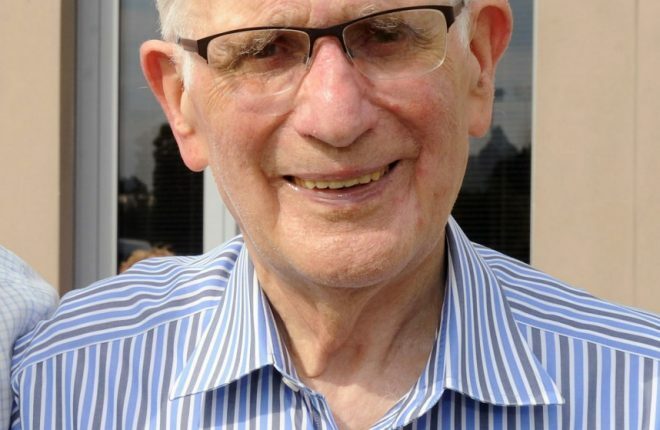 THE death of one of Fermanagh’s piping stalwarts, James Henderson, who died after a short illness, has caused great sadness throughout the county. Jim, of ‘Fairwinds’ Drummurry Gardens, Ballinamallard, died in the South West Acute Hospital on Saturday. Jim Somerville Henderson, BEM, a former High Sheriff of Fermanagh (1982), was in his 92nd year. A founder member of Trillick Pipe Band in 1945, he piped and served as treasurer and secretary for almost 70 years. A life-long friend, Ivan Kee paying tribute said, “Jim was the dictionary’s definition of a gentleman’. “He was a real cross-community person and saw no difference in anybody. He will be irreplaceable in his roles in several organisations,” said Mr Kee. Elected president of the Pipe Band Association in Fermanagh 40 years ago, he helped organise the pipe band contest annually. A former hospital chief of Fermanagh and Tyrone, he was a member of the Masonic Order for nearly 60 years. He also supported many other musical and charity organisations in the county and had a close association with Trillick Young Farmers. In recent years he became an avid follower of Ballinamallard United in the Irish League. Born in Springhill, Trillick, he received his early education at Trillick Primary School before moving to Omagh Technical School. He then served his time at Rolson, Allen and White accountants in Enniskillen. Some years later he moved into health care in Omagh and eventually graduated to chief executive of the hospitals in Fermanagh and Tyrone. 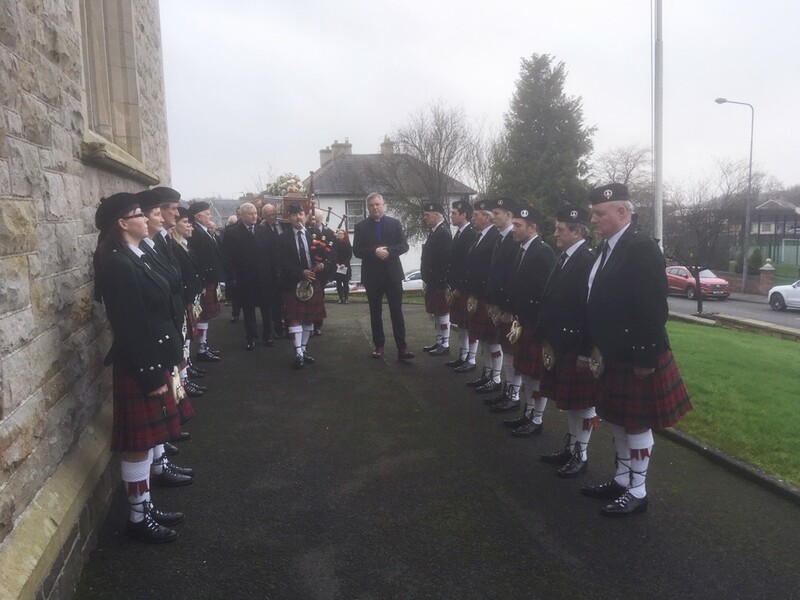 Representatives from piping associations all over the North including locals Cavanacarragh and Coa attended the funeral and Trillick Pipe Band provided a guard of honour (above) for the cortege. He is survived by his wife Ruth and sister Vera Topping. He was pre-deceased by his brothers Jack and George. The funeral service in Ballinamallard Methodist Church, conducted by Rev John Beacom, was followed by a private cremation.